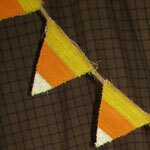 This Candy Corn project is just one of the many ways you can create unique flag banners using any premade burlap triangle shaped banner. 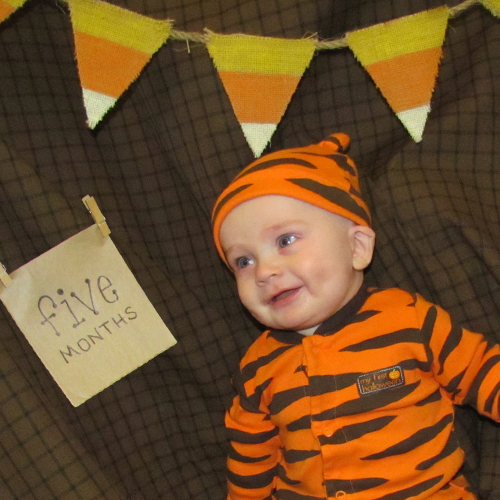 James (our youngest studio assistant) is turning 5-months-old in October so we wanted to do something crafty for his five month picture. 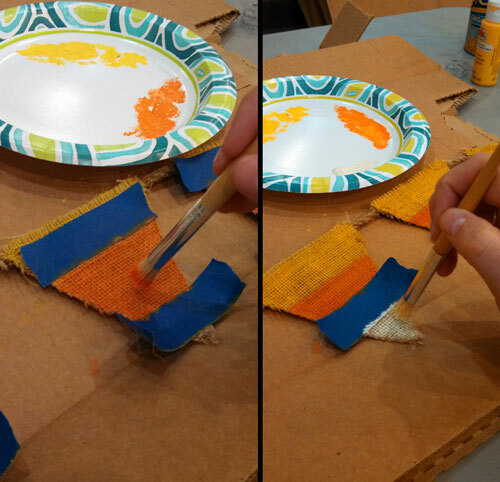 Anna used acrylic paint and painters tape to quickly and easily create a super cute candy corn banner that can be used every year as one of our favorite fall decorations. 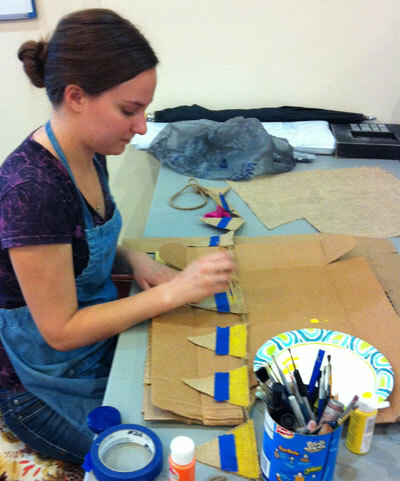 I've added a few pictures of Anna's project here to give you the basic idea. Check out our blog: www.Rags-n-Rhinestones.com for a more detailed tutorial.